Ron Reed, Founding Contributor at Filmwell, wrote: "Back in the Sixties, God was dead (or so the rumors had it), mainline churches were dying (though they didn’t know it yet), and the Jesus People hadn’t yet been born (again). If you happened to love God and the movies, you were pretty much stuck with Bergman and Bresson – not that that’s necessarily a problem, unless you’re prone to depression – and the occasional Cool Hand Luke angry young Christ figure. But a faith-filled few fought the good fight, in church basements across the continent. 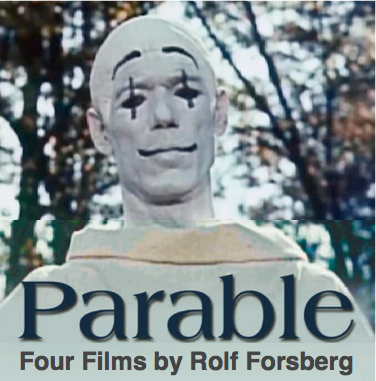 Chief among them, Chicago-born Swede Rolf Forsberg, who brought a live theatre background (he directed Ed Asner in 'The Tempest' in the late Fifties) and art house enthusiasm to some distinctive short films."